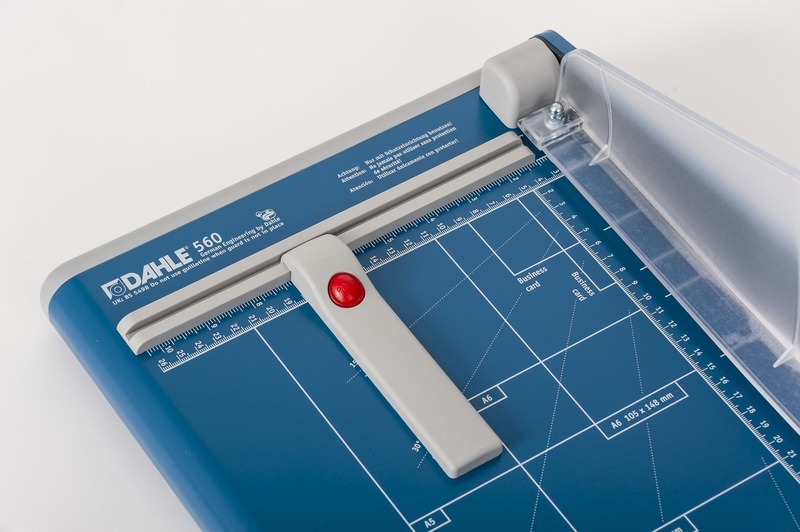 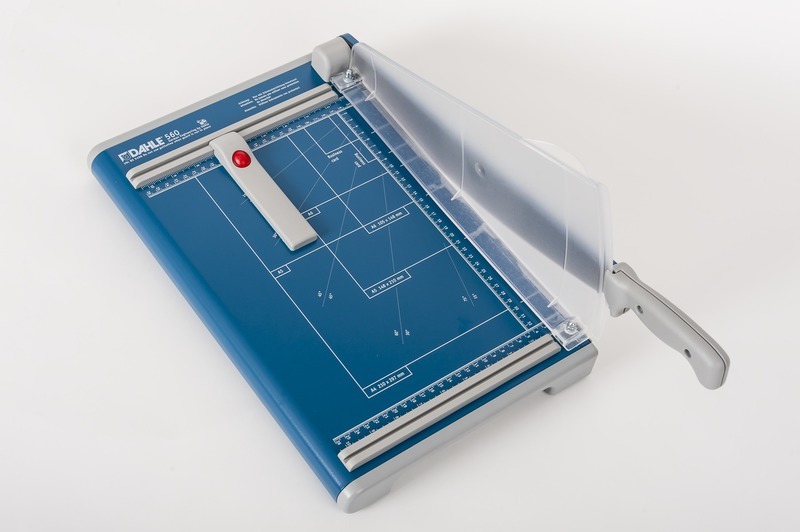 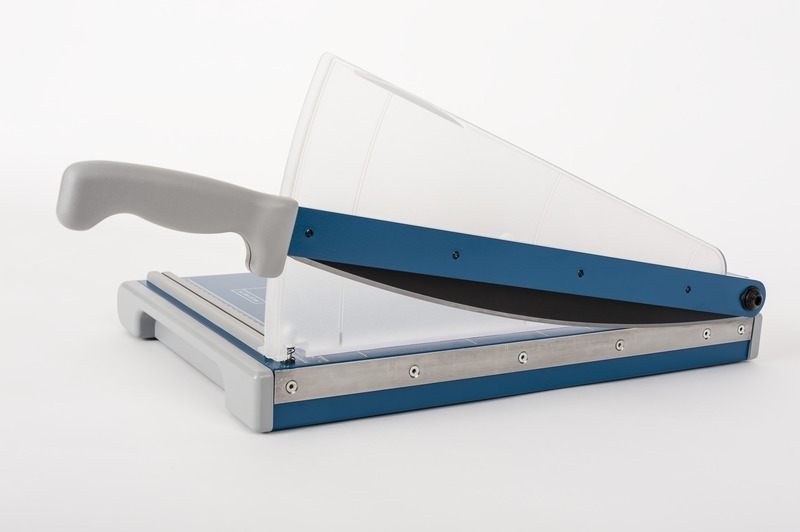 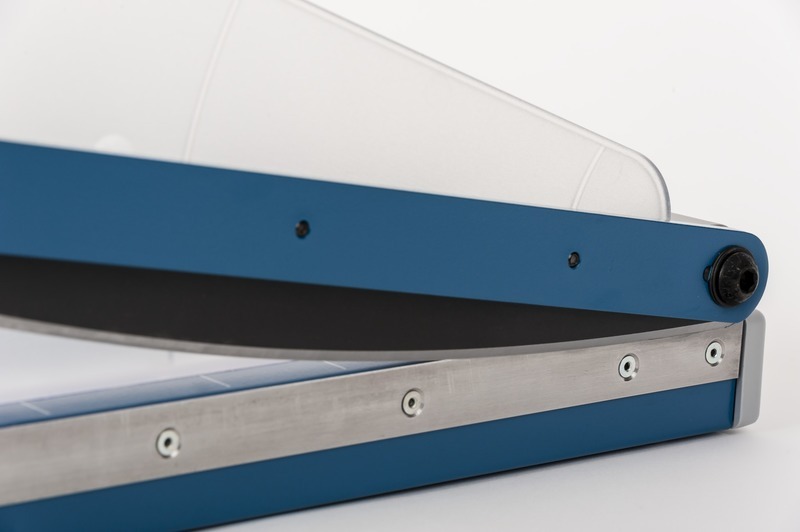 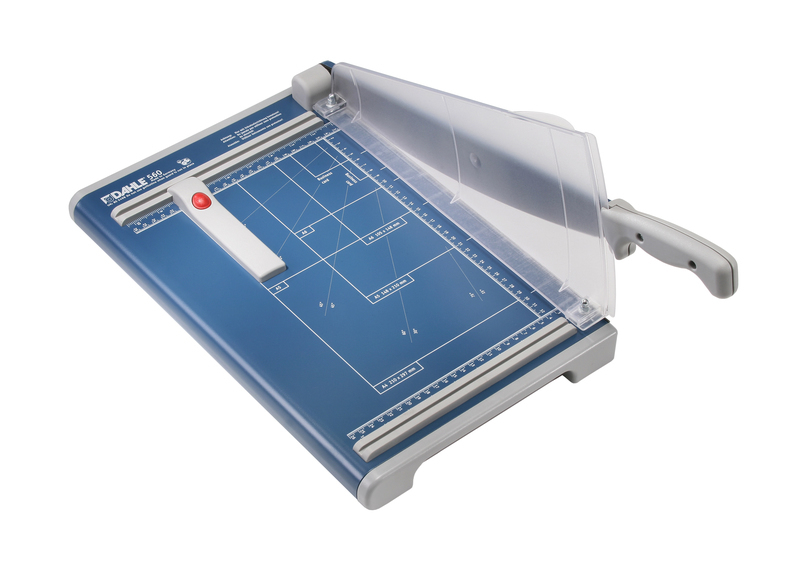 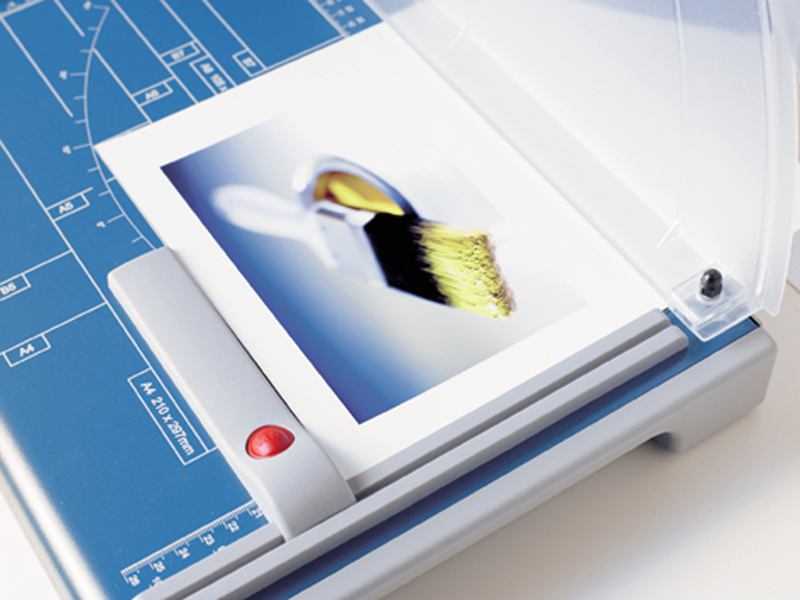 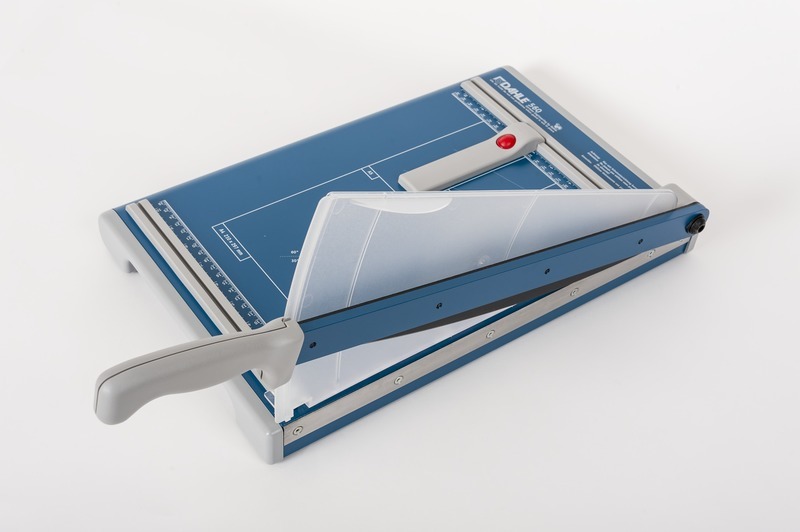 The Dahle 560 Professional Guillotine paper cutter is designed with safety in mind. 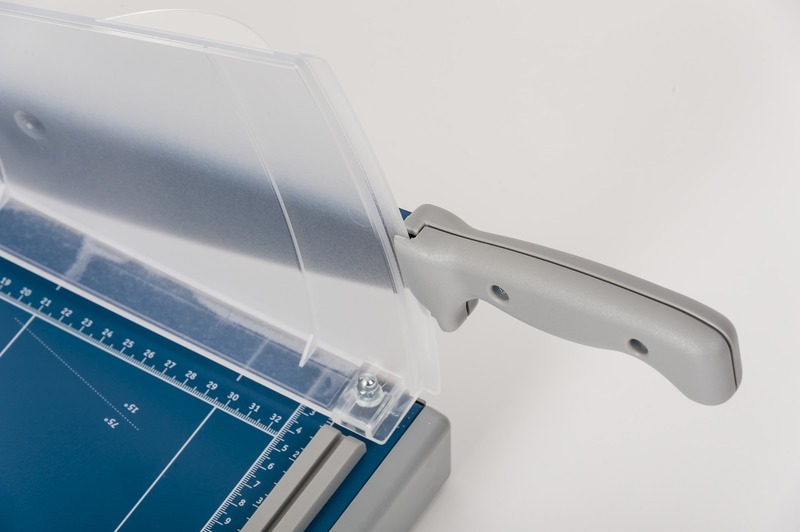 This cutter is equipped with a full acrylic protective guard that doubles as a secure paper clamp, protecting your fingers from the blade. 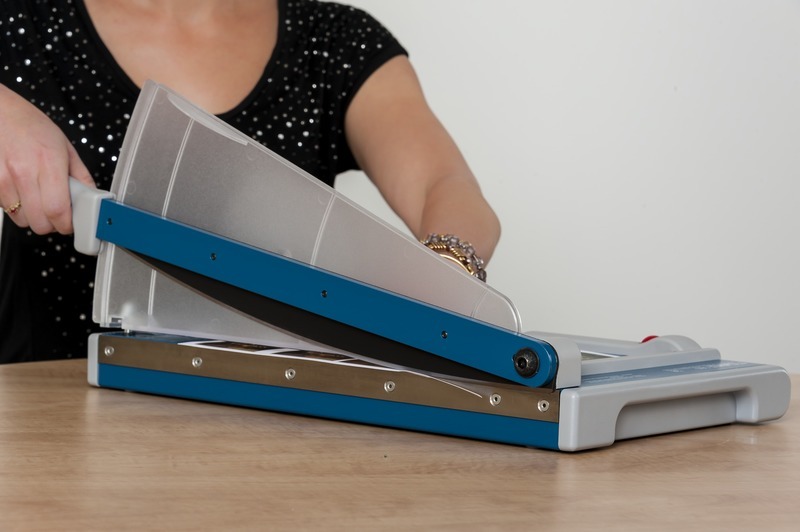 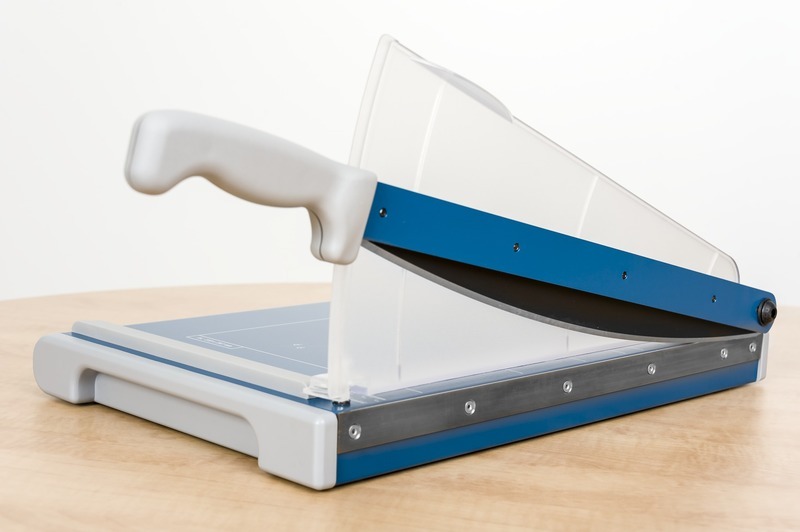 The self-sharpening blade can handle up to 25 sheets of standard paper and has a spring system which prevents it from falling accidentally.